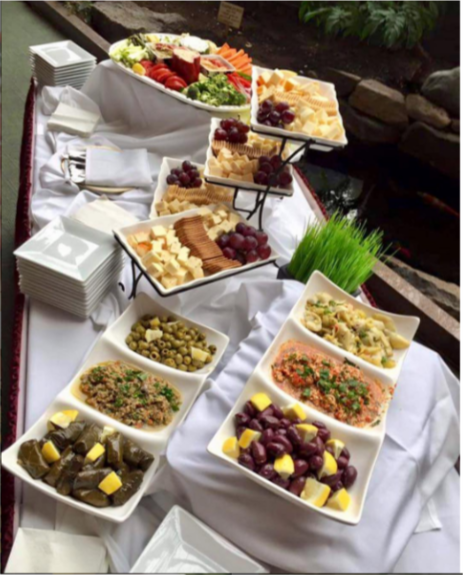 Are you trying to find a corporate catering Boston company that has the best office catering for your next corporate event? Such an important part of any business gathering, whether internal or external, or whether informal or formal, is ensuring that the attendees are satisfied, are involved, and are satisfied, with good office catering. How a company organizes and presents itself in a corporate event says a lot about the business itself, and ensuring that the company takes the time to plan good office catering for its employees or for its guests at a corporate event ensures productivity and employee morale, and gives the company a good reputation for caring about its current and future members. Regardless of who is attending or for what occasion, companies should strive to leave good impression on its employees, visitors, and future members, and the best way to begin to express how the company cares for its team is taking the first step of having the best office catering for the attendees to enjoy and remember. Not only is trying to host a corporate event, whether large or small, can be quite difficult for companies to not only succeed in doing but to even attempt, but trying to find good office catering in Boston can be even more difficult. No matter what the event may be, such as a seminar, a meeting, a luncheon, a grand opening, a product launch, or a business party, having the best office catering in Boston, and taking the time as a corporation to give back to the attendees, whether they may be employees or guests, is a huge step going in the right direction for the company. Taking the time to show your appreciation and gratitude for the members of your team really leaves a good impression in the attendees’ minds on the company, and it shines a very nice light onto the company as a whole. Finding offering catering in Boston may be a struggle to obtain and achieve successfully at times, but don’t let that get in the way of making it apart of your company’s internal, external, informal or formal business gatherings to ensure that all feel welcomed, and all feel enticed to commit to the team and to return again to future gatherings. Sometimes finding the best Boston office catering company is nearly impossible. There are either so many companies, or not enough companies, from which you may choose, but none are really standing out to you and you aren’t really fond of any of them. There are so many questions and concerns that one may have when planning an event that requires the best Boston office catering company. Concerns may include, but are not limited to: the price of the food and of what is included; how flexible the menu is; how reliable the caterer is; if sampling is allowed; how much experience the company has; and who from the company will be in charge of the catering. Sometimes trying to find the answer you want from each question becomes such a frustrating task, or you are not pleased with the answer once you already committed to one company. To ensure you are receiving products and services from the best Boston office catering company, ask these questions beforehand, and ensure you receive answers on time and in a way that fits your needs for your corporate event.